That red print skirt is AMAZING! I agree with Michelle! Love the red skirt. Also the last picture love the colour combination of the ladies dresses! Wow so many great pictures, I love the one with all of the girls walking in one horizontal line. Such colors! You have done a great job. the pictures are just awesome! Love, love, love the first outfit and shot! 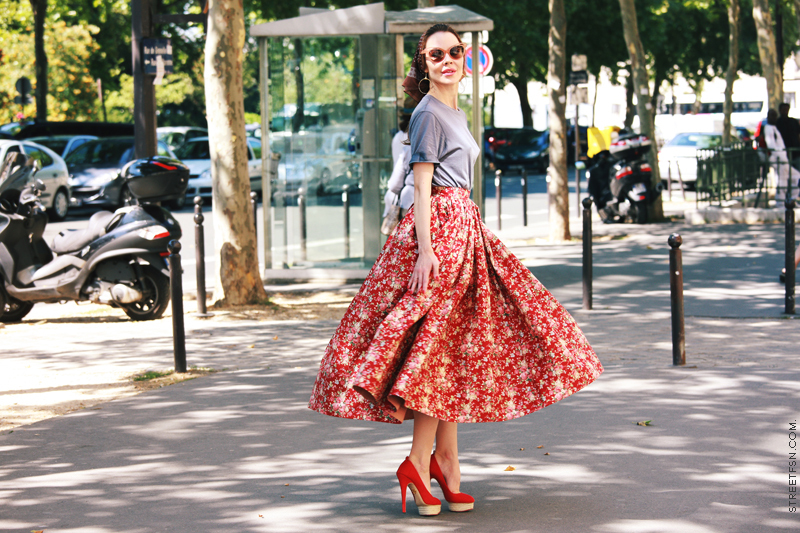 The red skirt/grey top is exquisite and perfectly 50s retro without looking at all costumey. Very nicely done! hope you follow me back to!!.. Wow, these pics are breathtaking. Loverly photos! I love the galactic, space print dress. I like astro-photography, so of course I'm all over the Zodiac and space themed trend! 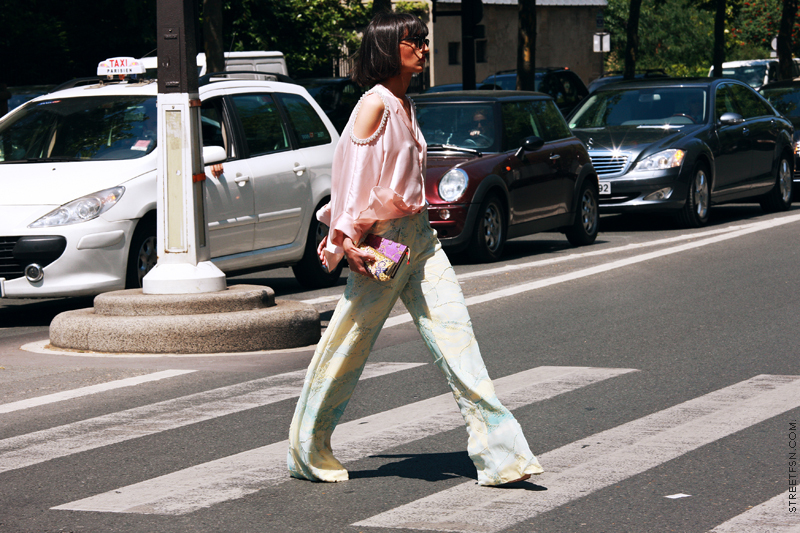 Also, I like the shot of the gladiator sandals paired with the white, cropped pant. Awesome photos, love the first one. Love the outfit in the first photograph. That full skirt is stunning. Miroslava looks gorgeous as well. stunning pics! love the second one! Such beautiful photos - I love the colours and the moments you've captures, from small details, passing moments and wow, the final glowing picture is breath taking. The first to pictures are full of volume! I am also in love with the ladies toward the bottom, fantastic shoes and the outfits are to die for! the last photo is beautiful! two of the ladys in the picture above the last wear the same shoes, am I right? Red shirt is so attractive and I really appreciate for your work. My life feels hopeless after seeing that kid with a Celine bag.